I could definitely tell it was a popular place. It was packed, just like I remembered it, but we were able to get seated pretty quickly. We ordered the half stack of the sweet potato pancakes. They were rich and fluffy, without being too sweet. Delicious! We also each ordered the fried chicken benedict, which was amazing. A homemade biscuit topped flaky fried chicken and a plump poached egg, topped with rich, homemade jalapeño cheddar sauce. And with food this perfect, it was still the people who work there that make this place what it is. This, is the perfect brunch experience. Get comfy and dig in! At Highland Bakery, we serve breakfast, brunch, and lunch all day long. 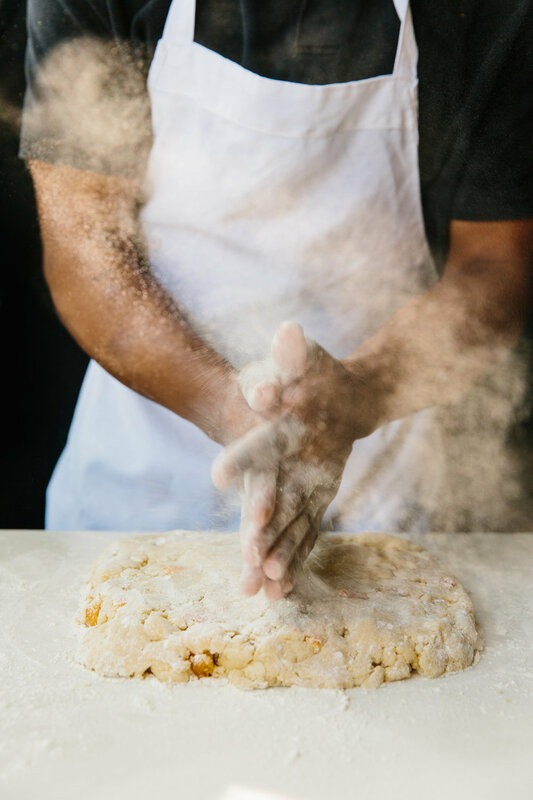 From our Cilanto Corn Cakes to our Crabcake Benedict, our Jalapeño Focaccia bread to our Peanut Butter High Hat cupcakes, everything is made fresh daily. And, of course, we cater all size events. Truly -- we make the stuff you can count on.